We extend a warm welcome to worship with us in a beautiful country setting. 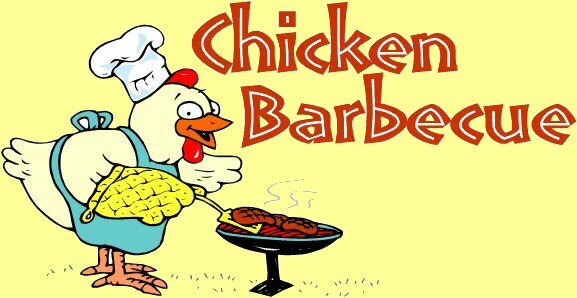 April 27th Saturday 11:00 am – 1:00 pm Chicken B-B-Q, Pie Sale and Car/Tractor Show by church members. $9.00 for half chicken, baked potato, coleslaw, roll and brownie. Take out or eat in. May 19th Worship 9:00 am Bishop Dunlap – Speaker for S.S.
Aug 17th SON Celebration 3:00 pm until… Campers Welcomed! Dec 8th How St. B’s has strengthened your faith? Stop by Sunday morning and develop your relationship with God. St. Bartholomew’s is active in our church community with multiple programs including Sunday School for all ages. We participate in community programs such as PAL program (provide a lunch). For several years, teams from our congregation have gone to communities affected by Hurricane Katrina and assisted in the rebuilding of those communities ravaged by that hurricane. The following links will provide you with our News, Announcements and Calendar of events. Christian Yoga classes at St. Bartholomew’s are offered at no cost – we just ask that you bring a yoga mat, (optional) yoga block or blanket and come dressed comfortably in layers. The one-hour class is a time to release tension and distractions so that we can explore the healing practice of yoga, deepen our faith, and rest in the peace that was so freely given to us. Each class is infused with scripture and Christ-centered meditations. Classes are tailored to all ability levels and different seasons in life. MEN, WOMEN AND CHILDREN NEEDED! cole slaw, fill bags, and set up. chicken dinners, sell pies, and to clean up. In a constantly changing world, the members of St. Bartholomew's will continue to remember their past as they look to the future. Our mission at St. Bartholomew's United Church (ELCA) is to be a united Christian Community serving God as witnesses and symbols of God's hope and love. As God's disciples we will do God's will through prayer, praise, worship and service; using the Bible as our inspiration. With the help of God, we will provide a sanctuary for caring and healing. Respecting the ideas of all people and striving for full participation of all members of our faith community, we will seek to strengthen our spiritual growth and to be a beacon to our church family and neighbors, near and far, with vision and responsibility to God. Handicap accessible with elevator service to all floors.